Vankaya (Brinjal) Pulao is a spicy rice dish cooked with the Brinjal ( Vankaya / Egg Plant) and spices under pressure. This is a One Pot Meal which will be handy for your Friday Dinners or Saturday Suppers or Sunday Picnics. This recipe uses the Homemade Vangee Bath Masala that I have posted recently. My version of Vangee Bath Masala is purely made satvivk ( the spice powder made with Lentils), so I have added some spices cinnamon, clove to add some non-veggish kick to this rice and added some grated coconut to give that mild sweetness to cool off those spices. I strongly suggest to serve this rice with cool raita. If you have this Vangee Bath Masala handy then you can make this rice in less than 30 minutes making your Dinner Special and different from routine. I will take the pride in creating this new recipe which is inspired by the recipe of Vangee Bath but made completely differently. You all know by now, I am a big fan of Vankaya ( Brinjal) and I love any dish that's made with it, My mom is also huge fan of this wonderful vegetable because one can make several varieties and cook this veggie in many forms. ( may be I inherited the like for this veggie from my mommy). But this rice dish got several praises from hubby too and he always gets surprised how i make these special meal in minutes ( esp after i return from work). Well I have revealed my secret here now. :-). I would say this is a complete winner recipe in my family. With out any due let me share the recipe, Njoy! Chop the Onions, Tomato and Green Chili in length wise. Chop the baby egg plants into 4 pieces. Wash the rice and drain it in colander and let it completely dry. Heat the oil in Non-stick Pressure Pan Cooker. Once the oil is hot add Cinnamon, Clove, Cumin seeds and saute for 1 min. Add chopped Green Chili, Onion to the pan and saute for 1 min. Onions will become translucent, then add ginger garlic paste and mix it with onions. Add Chopped Tomato now. and cook for 1 min. Add chopped Brinjal pieces to the pan, mix it with onion mixture and close the lid ( loosely) and let it cook for 2 to 3 min until egg plant becomes soft, now add the salt, mix it and cook for 2 more minutes. Now add rice to the pan mix it well, with veggies. Add Cilantro to the pan now. Add Vangee Bath Masala Powder, and Dry Coconut powder and mix it thoroughly with rice and veggies. ( make sure the rice is coated with spices). Add 2 cups of water to the pan. Close the lid to pressure pan and cook it for 2 whistles. ( about 10 -15 min). Once it's cool off open the lid and fluff up the rice with spatula and taste and adjust the salt accordingly. Transfer to serving bowl and server hot with cool raita on the side. Chop the eggplant ( Brinjal) in medium size. Don't chop them into small, as we pressure cooker it becomes very soft and mushy. Roasting the rice with masalas in the pan is very critical and after the rice is cooked, it will be flavorful as the rice is infused with all the masalas before. Happy Mothers Day to all the mothers out there! I hope you are celebrating this mothers day with your mommies and little ones cherishing all the moments that you spent together with your mommy and being a mommy. Today I am sending this recipe and dish to my mommy who is miles apart, made with her ( and mine) favorite vegetable! 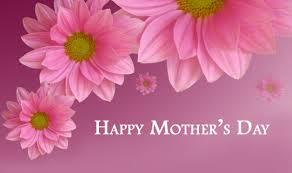 Have a Happy Mother's Day Weekend! delicious and tempting brinjal pulao. I am hungry. we call it vangi bhaat and it is great. that looks yum perfect for lunch box nice recipe.